In the Tampere region, sewage from about 300,000 persons is discharged into municipal sewers and consequently to sewage treatment plants. Sewage treatment prevents health and environmental harm caused by contaminated water. The vast majority of sewage from Tampere, Kangasala, Lempäälä, Pirkkala, Vesilahti and Ylöjärvi is currently treated in in Tampere’s Viinikanlahti and Rahola sewage treatment plants, built during the 1960s and 1970s, as well as the Lempäälä sewage treatment plant. Although the handling capacity and cleaning efficiency of these plants have been improved over the years but, newer cost-effective solutions are required due to population growth and stricter treatment standards. The purified effluent is released to Lake Pyhäjärvi. Various options for sewage treatment in the Tampere region have been extensively studied for more than ten years. The final choice was eventually reached on the basis of preliminary studies comparing different decentralized and centralized sewage treatment solutions. The selected centralized solution is known as Sulkavuori-option. The decentralized alternative would have concentrated on the improvement of existing treatment plants and lines. 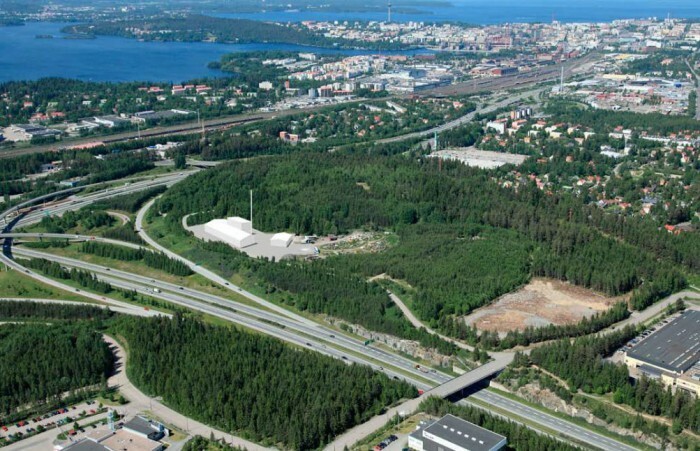 After comparison of the alternatives, the decision was made to design a bedrock sewage treatment plant in Tampere’s Sulkavuori district. The centralized option location was based on the concept of a treatment plant in the bedrock. Experience from existing bedrock sewage treatment plants has shown them to be not only reliable but also environmentally friendly. When most of the treatment plant is underground, it is hidden from view and creates conditions for smooth plant operation and maintenance. With the underground location, sewage treatment odors and noise are minimal. There are also excellent conditions for an efficient nitrogen removal facility to be constructed close to the plant. Similar built-bedrock sewage treatment plants are in use, for instance, in Helsinki and Stockholm. A comparable bedrock treatment plant has been in operation in Turku since early 2009. The Pirkanmaa central sewage treatment project is a joint venture with several municipalities. Taking part in the project are Kangasala, Lempäälä, Pirkkala, Tampere, Vesilahti and Ylöjärvi.